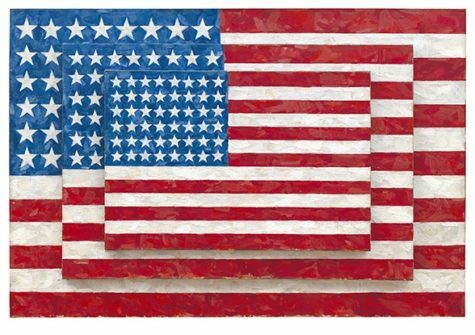 For frugal fans of Jasper Johns unwilling to put down $1,500 for the newly released catalogue raisonné of his paintings and sculptures, there is good news: the first volume of the catalogue has just been published as an affordable standalone volume, priced at $60. The book, titled Redo An Eye, by the scholar Roberta Bernstein is a richly illustrated, comprehensive overview of his more than 60-year career and is the first monograph to take into account the full scope of his achievements. It is published by the Wildenstein Plattner Institute (which supported Bernstein’s catalogue raisonné project) and the Yale University Press. The projects are the result of years of study and dialogue. Bernstein first met Johns at the Castelli gallery in 1967, after which he hired her to organise his print collection. “I spent some time doing that and it gave me the occasion to get to know him and watch him work and hear his comments about art and life,” says Bernstein, a professor emeritus of art history the State University of New York at Albany. Best Classical Music Album? Really? “Anna Karenina”: Why So Many Translations?